■Sensor can be all neatly contained and protected within the folding case. 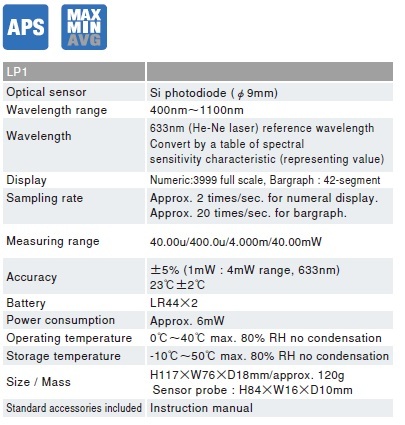 The standard LP1 is calibrated at 633 nm but can also read any other wavelength in the 400〜1100 nm range using a chart inside the case cover. 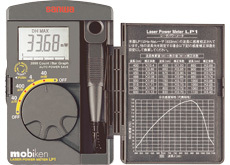 We can calibrate directly to any other 400〜1100 nm wavelength for special orders, with a 4 month lead time, so please contact our authorized agent if necessary. within the folding case. Easy to carry in a shirt pocket.